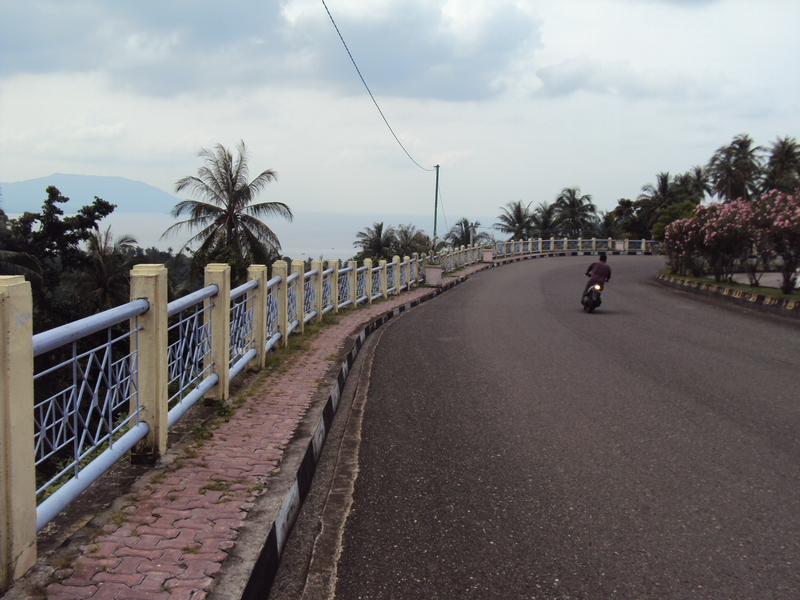 Sabang Island is 17 km north of Banda Aceh. Access is by ferry from Banda Aceh. 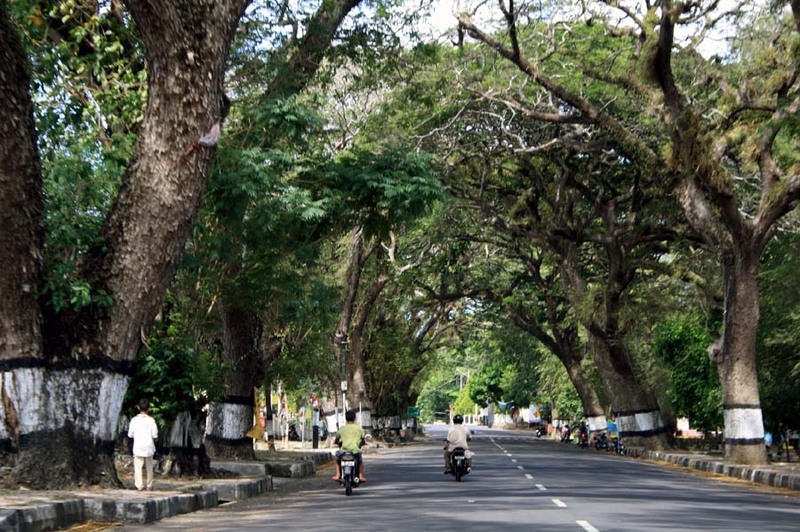 It has a permanent population of approximately 33000 with five main district. The island’s unique, timeless beauty is appreciated by all who live there and visit the island. 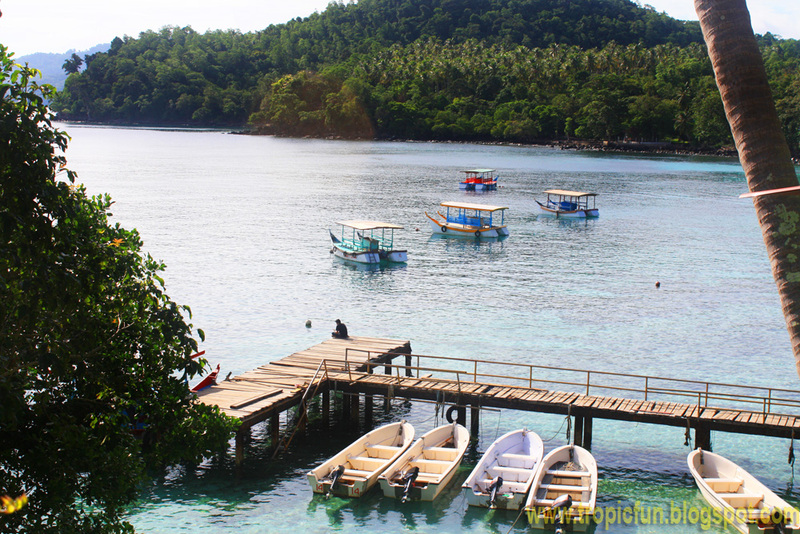 The island of Sabang has natural harbor and very unique geography. 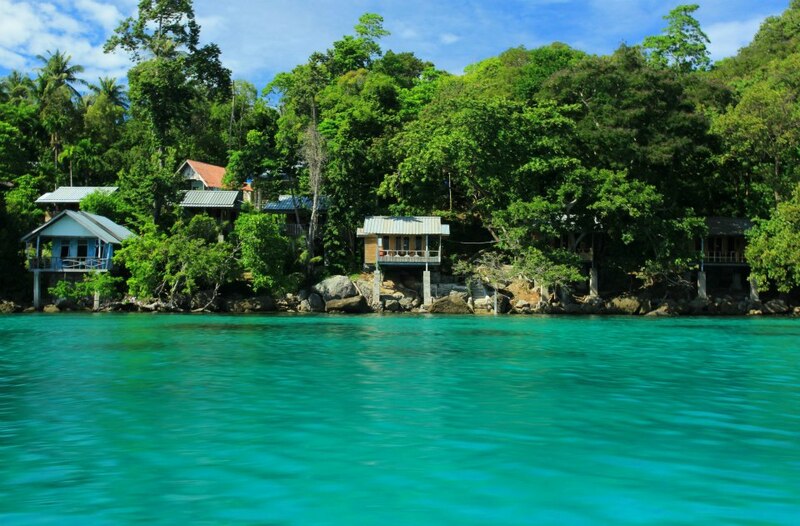 Sabang is a municipality consisting of a main island (Weh Island) and several smaller islands off the northern tip of Sumatra. The islands form a city within Aceh Special Region, Indonesia. The administrative centre is located on Weh Island. The city covers an area of 153.0 square kilometres and according to the 2015 census had a population of 32,271 people. The religion of the majority of the population is Islam, with minorities including Buddhists, Christians (both Protestant and Catholic), and Hindus. They are widely available all over the city. Banks are open from Monday to friday, 8:00-16:30 hrs and on Friday, 8:00-15:00hrs; on Saturdays and Sundays they are closed. Central branches of some banks may be found open until 8:00 daily and from 10.00 to 16.30 on Saturdays. For further details while in Banda Aceh please consult your hotel concierge. 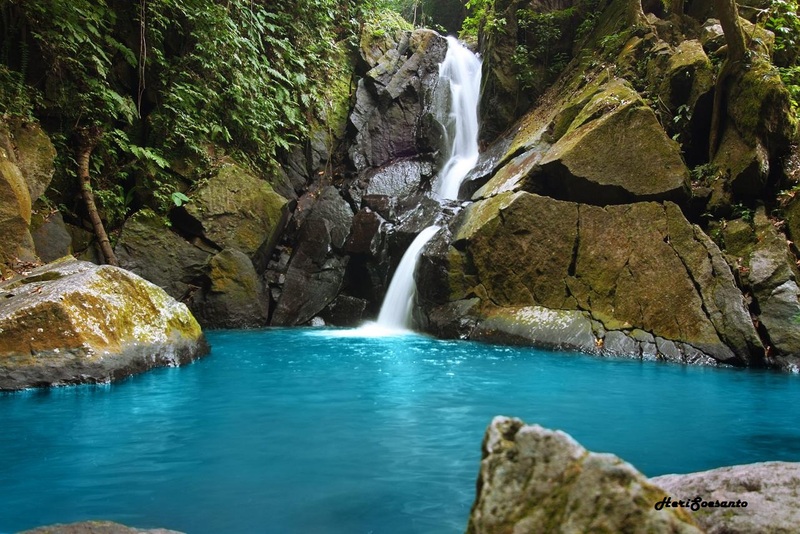 The climate in sabang is either tropical rainforest, tropical savanna, tropical monsoon, or humid subtropical. All major credit cards are accepted in almost all hotels, shops and restaurants. Stickers in the front windows will advise you as to which cards are accepted. Rupiah is the official currency. Electricity is 220 V/50 Hz. Plugs are the standard continental (DIN) type with two round pins. Emergency treatment is free to all in public hospitals. Public and private hospitals can be found in big cities. Small and large islands usually have hospitals and health centres. Acehnese is the official language. Most sabang people speak English as a foreign language. Restaurants and Taverns are normally open for lunch from 10:30 to 16:00, for dinner from 19:00 to midnight. coffe shops usually serve food all day long, and some of them stay open till late at night. The international access code for Banda Aceh is +62 and use phone cards, which can be purchased from kiosks. For information concerning mobile phone use in Banda Aceh (telephone transmissions are based on GSM technology), please ask your provider. Sabang is in the WIB (UTC+7) time zone. Investment from the private sectors is open for all people in the world. Investment both local and foreign or joint venture between local and foreign or foreign and public sector is permitted. Visit the Major Investments Office for more information and we can arrange tours to business locations throughout Sabang, including visits to available sites, investigations of facilities, and meetings with community leaders. Besides taking pictures, you might ask for a certificate as a memento. The certificate, signed by the Sabang mayor on behalf of the Republic of Indonesia, recognizes your visit to the northernmost point of the country. I was listed as the 60,372nd visitor. which has white sands stretching along 3 kilometers — is relatively close to the Balohan ferry terminal. It takes only about 15 minutes by car to reach the beach from the terminal, At Sumur Tiga Beach you can find accommodations that provide beach-view bungalows. 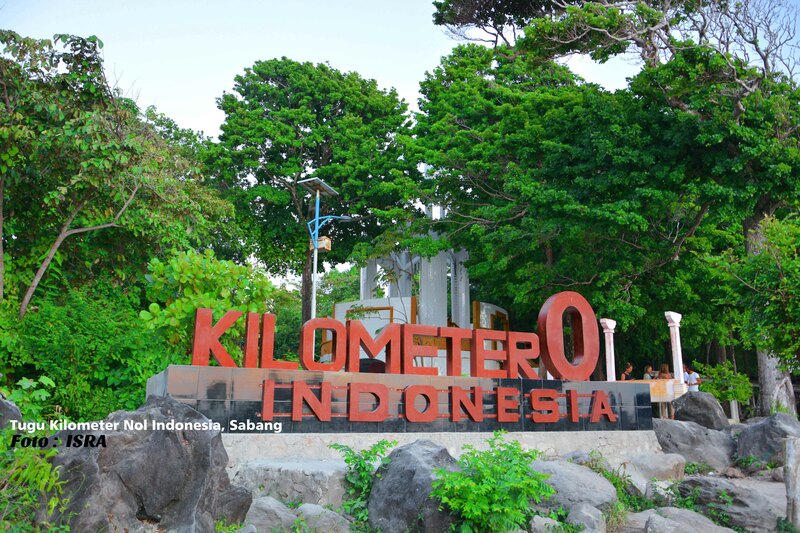 Iboih and Gapang Beaches, where there are a lot of fine lodging options, are closer to the statue that was built to mark the country’s kilometer zero point, called the Kilometer Nol (KM 0) monument. The monument was inaugurated in 1997 by then research and technology minister, and later president, B.J. Habibie. The access to the waterfall is off the main road about a 10 minute drive south of Gapang. The access road ends at a small water processing plant, and from here you must walk about 500 meters to the falls. There are interesting things from a trip to the waterfall, if lucky, you can see marine iguanas that is an endemic animal to the Sabang island. Enjoy outdoor summer jazz concerts in sabang. Celebrating a rich cultural heritage. It's a great weekend of gathering divers together from far and wide, entering into fun competitions with awesome prizes and a bit of social fun as well. The day will be full of fun and packed with a programme of all sorts of activities and entertainment for all ages. See sunset at The Beach !